Our check-in and pick-up process is simple. 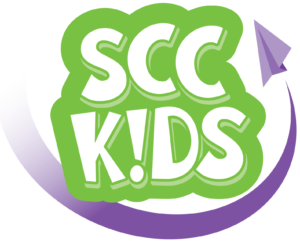 When you arrive on campus, come to any of our SCC Kids check-in stations and we will meet with you and ask you for some basic information (name, family members, birthdays, address, e-mail, cell number, allergies or special needs). We will then walk you and your children to their appropriate classroom. All of our teachers and volunteers are trained, have had a background check and are excited to welcome your child. Our goal is for you to enjoy a the worship service while knowing that your kids are safe, secure and having a great time! Our Next Baby D event will take place on May 25th, 2019. Parent Orientation will be on May 19th at 10 am in the SCCKids Bldg. babyD is more than an event. It is a 3-step process that creates an opportunity for you to take some time at the beginning of your journey as a parent to really think about what will matter the most in the life of your child — to really talk together and decide what you value and what you can do today that will have the greatest impact on your child’s future. BabyD is designed for parents of children birth through preschool. We begin with a simple orientation a week or two prior to the event. This step must be completed before moving on to Step 2. Once you have completed Step 1, you will receive a DVD of two short videos along with a worksheet. We promise this is not painful, and there are no right or wrong answers. During the celebration, you will have an opportunity to share your homework, and we will lead you in a prayer of dedication. After, you will have time to enjoy some refreshments and take pictures with your family. The total event will last about an hour. This event is not infant baptism. We believe that when people are old enough to understand what it means to put their faith in Jesus Christ as their personal Savior, they should have the opportunity to make that choice for themselves. This event is about your commitment to lead your child into a growing relationship with Jesus Christ, so that as he or she gets older, you are able to guide your child and help him or her understand what that relationship means. Our Summer Showcase is something your kids won’t want to miss! This week is designed for kids who completed Kindergarten – 5th grade in the 2018/2019 school year.